The extensive capability of OptiCal Sciences' service team enables us to offer the most comprehensive ranges of services available in the UK and Ireland (if not the world!) for the recalibration, service and repair of particle counters, aerosol photometers and aerosol generators. Our service team is able to boast a collective experience within the industry of particle counting and photometry of over 100 years. This knowledge base and skill set is channelled into offering a service based on technical excellence, ensuring your valued assets are maintained in the proper and professional manner which you would expect. Such experience also enables your instrumentation to be returned into service within a very quick turnaround time, reducing overhead costs to your business through downtime. OptiCal Sciences are highly tuned in to our clients' needs and strive to provide a quality service at a competitive price. 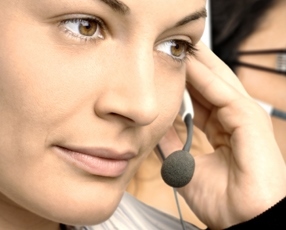 We consider our provision of high quality after-sales support to be of the utmost importance. OptiCal Sciences' Service Engineers operate in a well equipped workshop incorporating anti-static benches, clean air cabinets, specialized test and calibration equipment. Our team of Field Engineers are fully equipped to provide the same high standard of service on-site at customers' premises throughout the UK and Ireland. A full service history for every instrument is maintained on our purpose-built database to facilitate fast and efficient service and to assist our customers' management of calibration maintenance schedules. Confidence in the accuracy of any monitoring instrument can only be as high as the standard and authenticity of its calibration. OptiCal Sciences continually invests in the training of highly skilled service engineers and the latest specialized test equipment. Laser diode precision alignment, for example, is one of our in-house services. The benefit to our customers is the considerable reduction in the length of time their instruments are off-site; many calibration organisations would need to return instruments to the manufacturer for this service. Our calibrations are carried out to the latest standards and regulatory requirements, taking on board our customers' needs. Calibrations are completed to ISO guidelines providing certification to National and International Standards (NIST), including the "As Found” data. Both the latex particles and the calibration of test equipment used in particle counter calibrations are traceable to NIST. 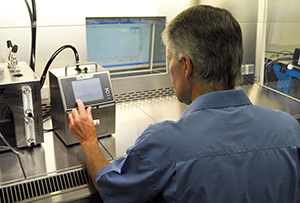 We are now able to offer calibrations to the new ISO 21501-4 airborne particle counter calibration standard, using our traceable reference counter for the count efficiency test for first channel sensitivity. Our head office is centrally located in Northampton, allowing our engineers to reach most areas of the UK in good time. If you decide to return your instruments to our well equipped workshop, we offer a rapid turnaround, usually within 5 working days. Even faster priority service is available on request; please contact us for more details.